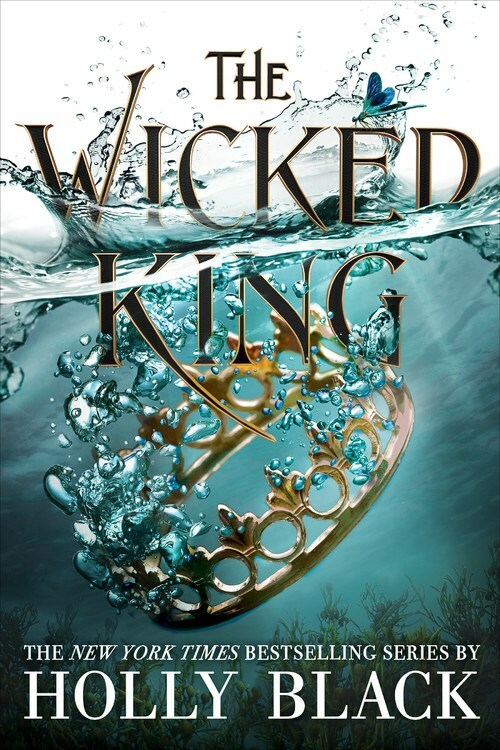 With the Folk of the Air Series newest installment, THE WICKED KING, once again, Holly Black swept this reader away into a dark realm inhabited by capricious Faerie—its pages filled with political intrigue featuring a world of enchanting and dangerous atmosphere. If you enjoy your Faeries mercurial and their courts twisty, then this is definitely the series to pick up. The story picks up shortly after the intense ending of The Cruel Prince with Jude safely removing Oak from the realm of the Faerie and binding Cardan, to her, where she secretly maneuvers between the shifting political alliances behind the Wicked King’s throne. I loved the way Jude and Cardan’s relationship unfolds in THE WICKED KING. As High King of Elfhame, Cardan begins to see another side of his realm and to ruling. There is this delicious slow-burn between him and Jude, a tango of emotions which makes the read just that much more riveting! Readers see all the machinations spinning, yet even the monsters can be compelling. This is really Holly’s gift in my opinion. Her writing entices us to care for those who we know we probably shouldn’t. Jude’s involvement with the Court of Shadows continues to play an integral part as old enemies threaten and her relationship with her Cardan becomes even more complicated. Jude is fast becoming a new favorite heroine for me. In The Cruel Prince we see the very human girl Jude is—just trying to survive in the realm of Fae. With this installment we continue to see her change and grow, taking on a mantle that falls somewhere between Fae and human. I love that she is whip-smart and daring. Fallible and sympathetic in character. The plot thickens with dangers to Carden’s reign from an unexpected source. A new realm is introduced and readers meet the Queen of the Undersea, Orlagh. This introduction was one of the best features in the story and added just another exciting layer to it. I loved reading about this tempestuous realm and the underbelly of its factions of Merfolk and Selkies. THE WICKED KING surpassed all my hopes and expectations for the second installment in the Folk of the Air series. If you thought the ending in The Cruel Prince was a cliffhanger, then you better prepare yourself. The ending leaves us with no doubt that an epic battle is eminent of wits and hearts, realms and crowns, and human and Fae. I cannot wait for more!